Joel Robison joined Flickr as Boy_Wonder in 2005, and then started selling his photographs on Esty to the public for $25.00. Joel graduated college inspiring to be a teacher, but after going on Flickr and seeing many photos by people that were creative, he became a photographer. He went on eBay, bought a used DSLR camera, he learned the camera and picked up Adobe Photoshop as his passion. 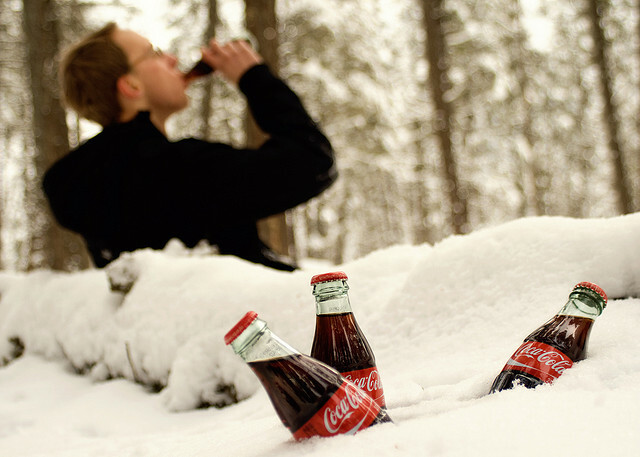 A few years into his photography, Joel took a picture of a few Coke bottles in the snow and posted it on Flickr. A friend of his suggested he send the photo to Coca-Cola in hopes they’d use it. One day Joel Robison got message from Coke asking to take his picture and share it on Coke’s Twitter page. Three weeks later, they hired Joel to manage Coke’s Flickr community, to help it grow and use his photos to encourage users to submit their photos based on positive themes. At the time, Joel laughed it off and didn’t think anything of it. In 2013, Coca-Cola offered Joel a job being a photographer for the FIFA World Cup Trophy Tour, which is world tour of over 90 countries. Through Robinson passion and consistency he landed a job at Coca-Cola using his photography skills.